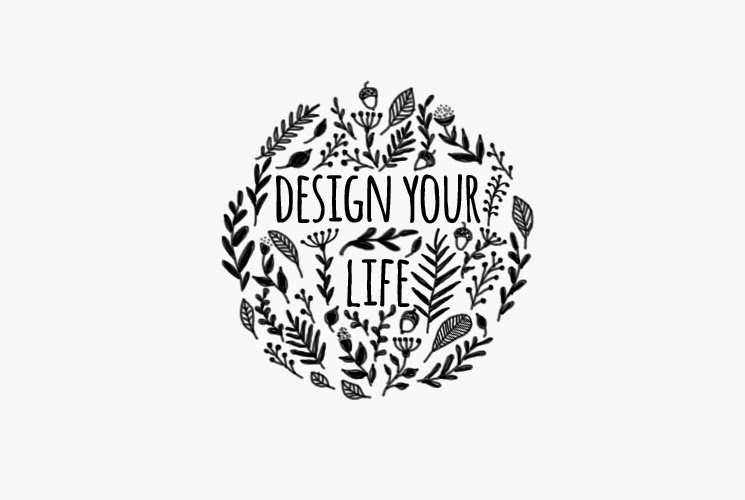 Design your life: A creative way to success + free printable! We're all guilty of getting those cute sticky notes from the dollar bin or purchasing that colorful notebook even though we have no idea what we're going to do with it. I have no doubt that for some of us, colorful and cute stationery can be a big help in prompting us to work. If you have some sort of planner or at least need/like to write down everything on paper, chances are, you're a visual person. This is why the idea of work planned with the notion that while doing it, you can use something visually pleasing is more exciting than just using that blank sheet of paper. You can start to see what I'm getting at, right? So here is Design Your Life. Take it as a challenge, take it as a prompt or take it as a helpful guide to achieve peace of mind, knowing that your life and work is on track this year. The plan is this: I'll be creating a #designyourlife post every month of this year, and each post will contain resources and tips regarding project planning, personal planning and everything in between. Some examples of what I'll be sharing with you: 2015 year at a glance planner insert, 2015 month at a glance inserts, freebie filofax dividers and much more, obviously paired with the designs you've already gotten familiar with, here on Black Forest Designs :) Here's the calendar of what I had planned for this series, with a planning prompt each month and a printable freebie which you can use in your filofax! Excited yet? I know I am :) This month's topic is, of course, new year's resolutions, or better yet, 2015's goals lists! If you're on my mailing list, you've already been sent my #designyourlife 2015 new year's resolutions printable, if not, take a minute to subscribe. 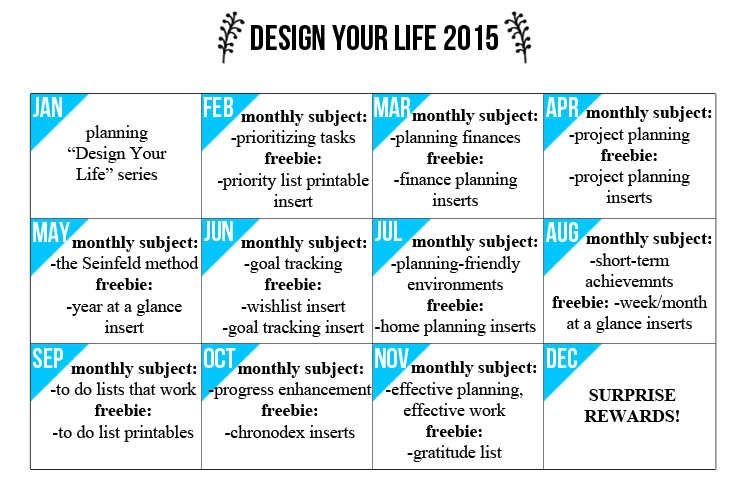 To start off the Design your life challenge, complete your 2015 goal list! You can print it off and take a photo of your complete list, or fill it in digitally, hell, you can even use another printable or just write down your goals on a blank piece of paper. The only "rule" is, if you want to take part in the challenge, is to upload your completed list to facebook with the hashtag designyourlife (#designyourlife), this way, we all can see each other's lists and we can participate in this together. Have fun with it and stay tuned this week for some chit-chat on prioritizing, as well as your free printable priority list! Don't forget to subscribe and I'll see you later!